A recent study by Reconciliation Australia found attitudes and perceptions of Aboriginal and Torres Strait Islander peoples and non-Indigenous Australians towards each other are in good shape. Nearly all of us believe the relationship between us is important. And most agree that Aboriginal and Torres Strait Islander cultures are important to our nation’s identity. But high levels of prejudice and low levels of trust still persist, with almost half (46 per cent) the country’s Aboriginal and Torres Strait Islander population experiencing racism recently, up from 39 per cent in 2014. And around 57 per cent of Aboriginal and Torres Strait Islanders from the general community believe Australia is a racist country. 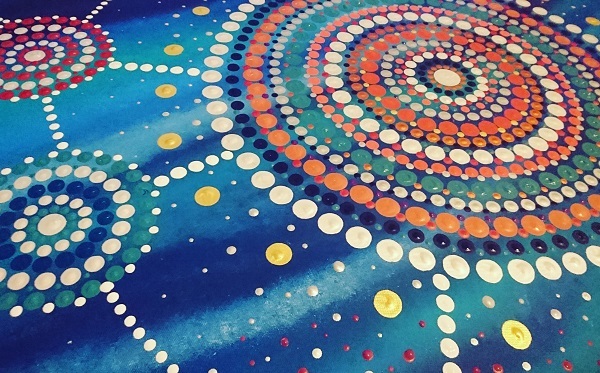 Photo credit: Painting by Indigenous artist, Lani Balzan from the NSW Illawarra region. This National Reconciliation Week, the St Vincent de Paul Society has asked members of the Indigenous community for their view on reconciliation. 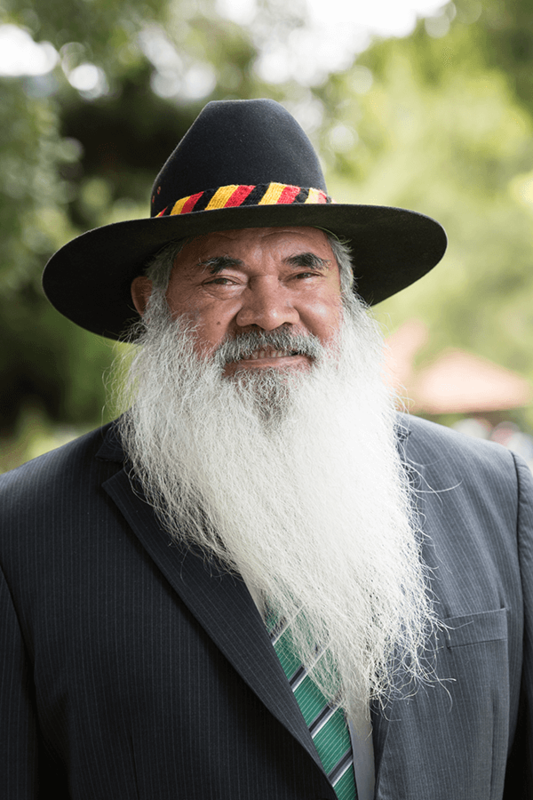 Senator Patrick Dodson reported back on a four-day meeting at Uluru in the Northern Territory, where 250 Aboriginal and Torres Strait Islander community leaders discussed constitutional recognition. “Last week at Uluru, one of the most important spiritual places for Indigenous people of this country, something significant happened,” he said. “Hundreds of Aboriginal and Torres Strait Islander people gathered to collectively deliberate and report back to the Parliament on what recognition and reconciliation means to them. “This is significant because reconciliation has to be about ensuring that Aboriginal people can bring the Government to the table to discuss and negotiate these matters. “It has to be about getting the nation and the Government to value who the Aboriginal people are. “And not about governments excluding Indigenous people from political decisions. “I hope that this move towards reconciliation is a sign of a maturing nation state. A gradual awareness that the lands were stolen from Aboriginal people. An acknowledgment that terra nullius was a legal fiction. A realisation that there was no treaty at the start and that there has to be an agreement if we are to go forward. “The spirit of reconciliation, of relationships based on respect and equality, is reflected in the readiness of the Australian people to have this conversation. 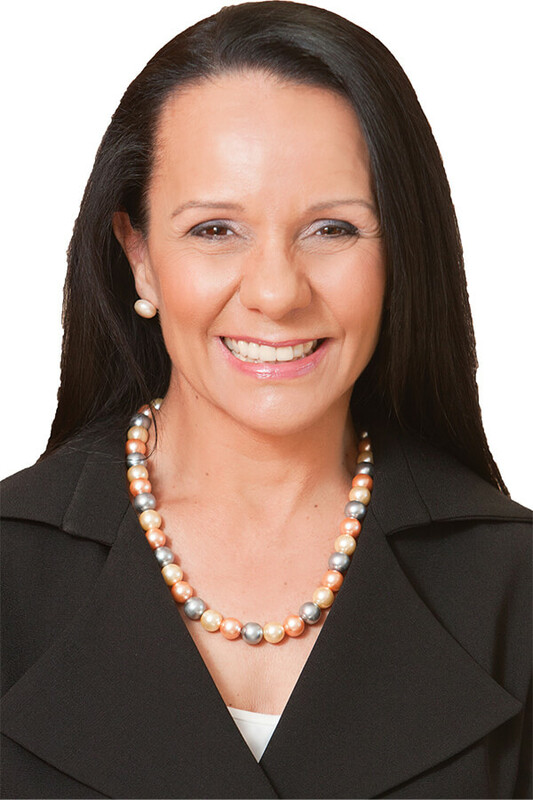 Linda Burney: "Let us walk taller as Australians"
For Linda Burney, the first Aboriginal woman to be elected to the House of Representatives, there is no question that the next step in the reconciliation process will be constitutional recognition of First Peoples. “Reconciliation is fundamentally about truth-telling. It is part of a process of healing,” she says. “The fact is, we can’t really address the problem of inequality and disadvantage until we are completely honest with ourselves about our past. Burney, now the opposition minister for Human Services, is also keen to point out that reconciliation is a journey, not a destination. 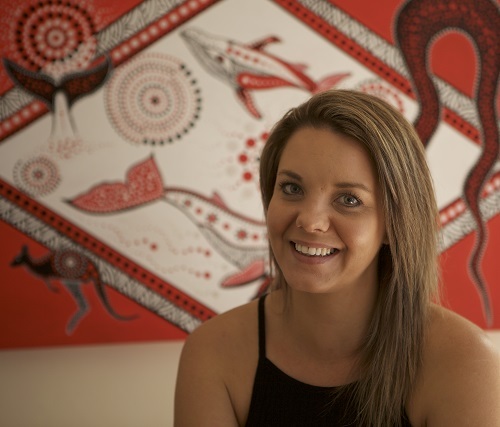 Lani Balzan, a successful artist and a Wiradjuri woman from NSW, is working towards reconciliation through discussing her culture with as many people as she can, especially school students in her home town of Wollongong, on the NSW south coast, and across the country. She says it helps debunk negative stereotypes while giving people an incentive to find out more about Australia’s First People. “This is everyone’s country,” she says. Lani is clearly proud of her heritage, but childhood memories of not always feeling comfortable with it are still raw, and she is all too aware negative views abound on social media and in the general community. “You can’t look at all the negatives. Or get caught up with what people say about the Aboriginal culture,” she says. In any case, she enjoys sharing her culture with others. Aside from teaching Indigenous and non-Indigenous people about Aboriginal artwork, and how important it is to their culture, she is also teaching kids to sing the national anthem in the Dharawal language. Watching her students at Wollongong’s Warrawong High School grow and change over the past three years has its rewards too. “I’ve seen what I can help them with,” Lani says. Another honour includes being invited back to speak to students at a Brisbane school. Each year when National Reconciliation Week rolls around, the anniversaries of two notable events are celebrated. 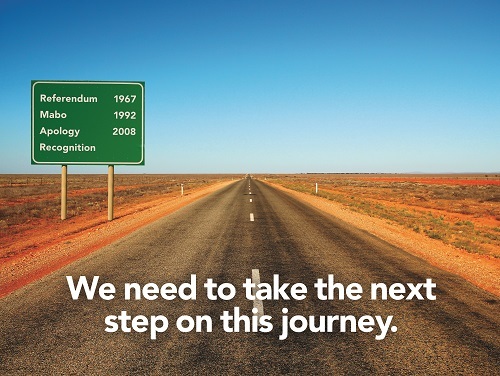 On May 27 it was the 50th anniversary of the 1967 referendum that saw 90 per cent of Australians vote in favour of giving the Commonwealth the power to create laws for Aboriginal and Torres Strait islanders, and include them in the national census. The last day of the week, 3 June, is the 25th anniversary of the High Court of Australia handing down a decision on what is popularly known as the Mabo case - a decision that legally recognised the special relationship Aboriginal and Torres Strait Islander Peoples have with the land. In addition to these two anniversaries, 26 May 2017 marked 20 years since the Bringing Them Home Report was tabled in Federal Parliament, exposing the extent of forced child removals. The report’s 54 recommendations included the need for an Apology to the Stolen Generations, and provision of services to create healing and wellbeing for those affected. Another 11 years later, on 13 February 2008, former Prime Minister Kevin Rudd delivered a speech apologising to the Stolen Generations on behalf of the Australian Government. Read more about Vinnies involvement with the Indigenous community and our support for reconciliation and justice.